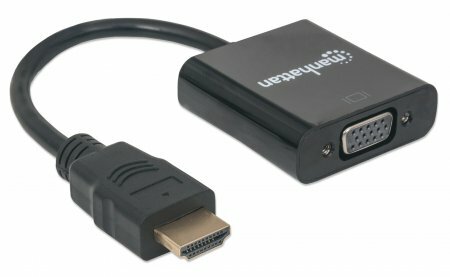 The Manhattan HDMI to VGA Converter helps establish a fast, simple and convenient link between newer HDMI-equipped desktop and notebook computers and other media sources with existing VGA monitors, projectors and other display devices. 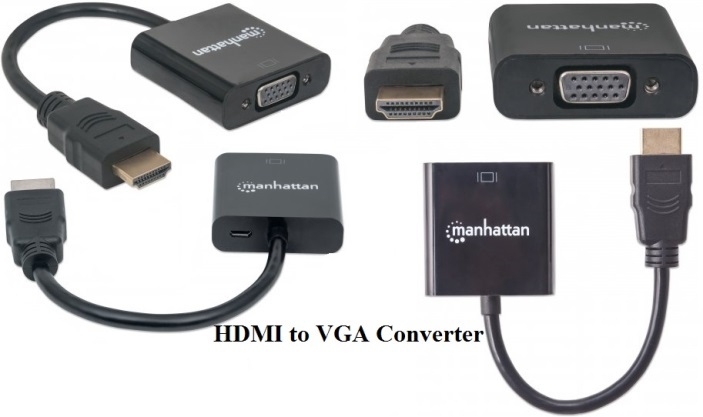 The Manhattan HDMI to VGA Converter is easy and quick to install and requires no complicated configuration or setup to help extend the service life and fully realize the investment and value of legacy VGA displays, projectors and other equipment. This low-power, cost-effective and reliable solution allows users to transition to HDMI bandwidths, resolutions, Deep Color and more without the expense of upgrading to newer and costly monitors and projectors. Its integrated, all-in-one design helps achieve a compact, integrated solution that eliminates unnecessary cables, tangles and clutter to keep installations and work spaces neat and orderly. Its Micro-USB port allows for additional power if required. 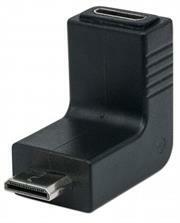 •This right-angle swivel HDMI Adapter allows for 90 to 180 degrees swivel when in any HDMI input device. 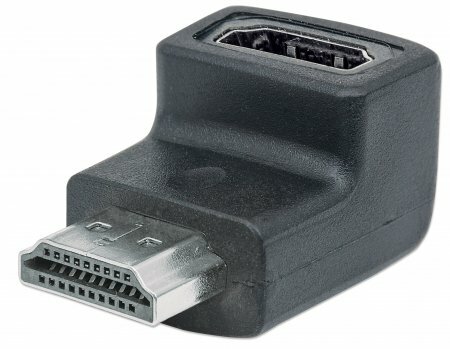 Easily connect around difficult corners or misplaced ports. 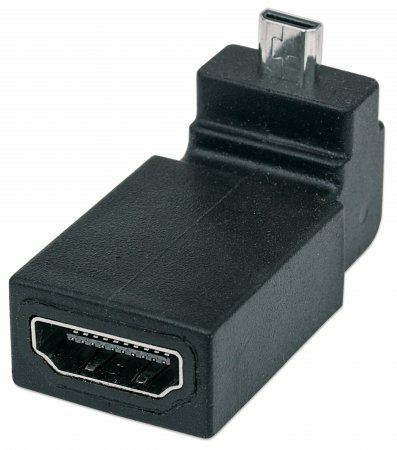 Easily connect around difficult corners or to hard-to-reach ports. Easily connect cables around difficult corners or to poorly placed ports. 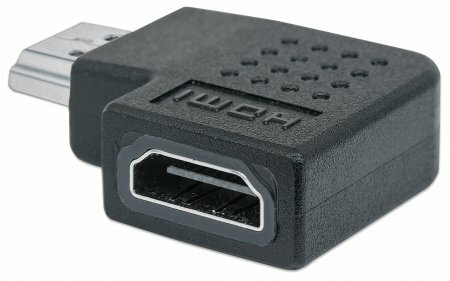 Easily connect an HDMI Micro device to an HDMI display using standard HDMI cable. 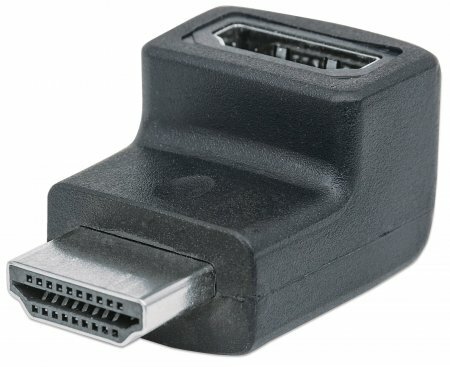 The Manhattan HDMI A Female to Micro Male, 90° Up Angle Adapter is ideal for connecting HDMI Micro tablets and other mobile devices to HDMI displays with HDMI cable. Its small size allows for easy storing and carrying, and its convenient 90° angle allows for easy connection in even the most difficult locations. 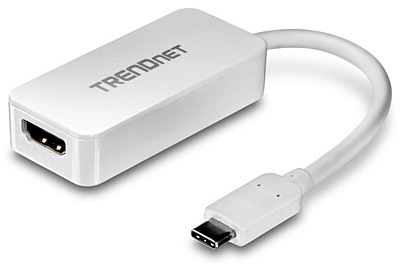 This HDMI Adapter allows 4K resolution and a bandwidth of 10.2 Gbps at 340 MHz. Easily connect even at difficult angles.